2. Antigens of Echinococcus spp. Echinococcus and Echinococcosis, Part B, Volume 96 presents a complete synthesis on what is known about the parasitic cestode echinococcus and the disease it causes, echinococcosis (Hydatid Disease), demonstrating that, in addition to its medical, veterinary, and economic significance, it is also an intriguing biological phenomenon. 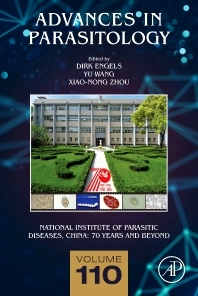 Both parts build on the success of a previous volume—Echinococcus and Hydatid Disease, edited by R.C.A. Thompson and A.J. Lymbery, and published by CAB International—that details the major advances that have taken place since its release. The book remains the only comprehensive account embracing virtually all aspects of echinococcus and the disease it causes. The links between laboratory knowledge and field applications are emphasized throughout the volumes. Consequently, research workers, teachers, students of parasitology, clinicians, and field workers will find this work an indispensable source of information. Professor Andrew Thompson Heads the Parasitology Section in the School of Veterinary and Life Sciences, Murdoch University. He is a recent past President of the Australian Society for Parasitology and has over 30 years experience in basic and applied parasitology, with over 350 publications in books and refereed journals. His research covers the biology, taxonomy and life-cycles of parasites of wildlife and zoonoses including Echinococcus and other helminths, Trypanosoma, Giardia, Cryptosporidium, and he is a lead investigator of a major research programme of drug discovery against vector-borne neglected tropical diseases. Peter Deplazes works at the Institute of Parasitology at the University of Zürich, Switzerland. Alan J. Lymbery works at the Freshwater Fish Group and Fish Health Unit at Murdoch University Murdoch University, Australia.